If you selected a pre-made polenta loaf, slice into 1/4″ slices. If you selected a polenta mix- prepare per package, about 1/4″ thick and slice into into 4″ squares. Lightly coat each side with Avocado or Olive oil and grill for a few minutes on each side. 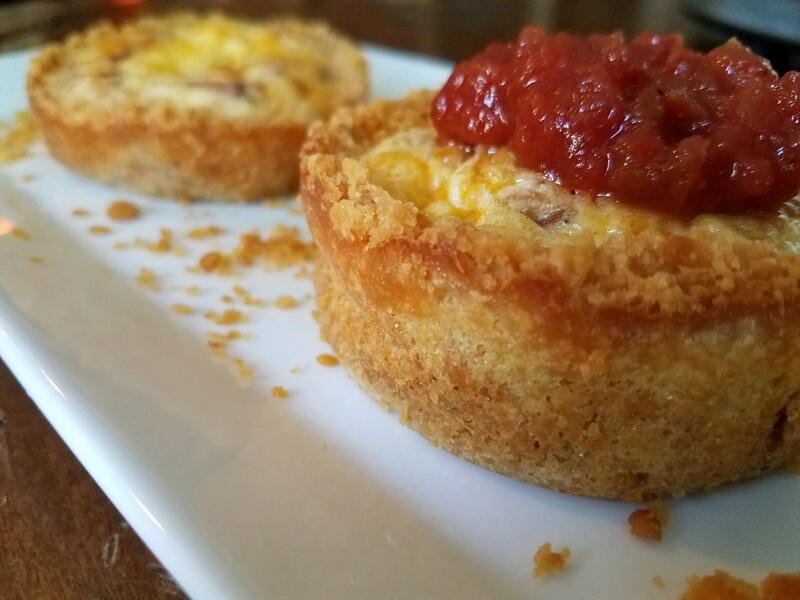 After flipping sides add a little shredded cheese to melt on top. Slice onion about 1/4″ thick, slice tomato 1/8″ thick, slice zucchini 1/8″ thick. Wash the mushrooms and take off the stalks. Gently coat all the veggies with Avocado or Olive oil, add a dash of salt and pepper and grill turning to sear on each side. Combined diced basil (leave ~1 Tbsp for garnish), lemon juice, pressed garlic and 2 Tbsp olive oil. Whisk until blended. 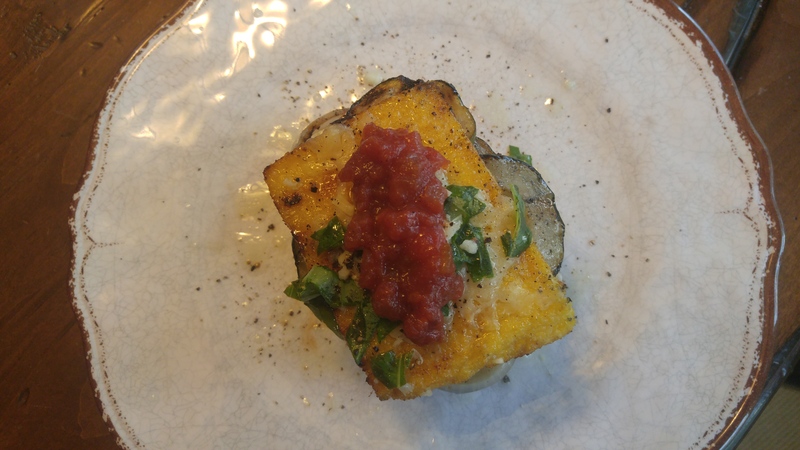 Remove all items on grill, and begin stack with polenta slice, layer as desired with vegetables, Rustic Tomato Chili Sauce™ and a polenta slice in the middle. Top with lemon juice and basil dressing, cracked pepper, Feta or choice cheese and of course your favorite Rustic Tomato™ Chili Sauce flavor.